This short action magazine well fits magazines where the latch is part of the magazine. 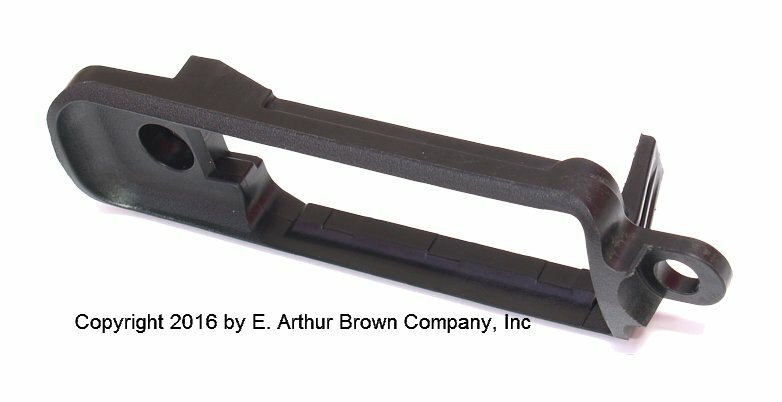 If your Savage rifle has a plastic stock with the magazine well molded into the stock and not transferable to another stock, you will need this piece to make the Version II Choate Tactical Stock for Detachable Magazines fit your rifle. It dropped right in to my Bell & Carlson stock for my Savage Model 11. It works, not much else to say. Good fit in a Boyd's laminated stock. Was looking to covert my Savage 12 FV into a better stock for hunting applications and have it magazine feed. This bottom metal (plastic) fit the new Hogue stock perfectly and allows me to use Axis magazines. Highly recommend! Fit right into a Boyd's predator stock. My Savage 11 .223 was a straight swap over: drop in...and the magazine functions fine. Great product. Works well with Axis mags. This item is a must have if you are replacing a factory molded stock on a savage short action with a choate, hogue overmolded or boyds laminate stock. It fit perfectly and helped me finish a project rifle for my daughter in law.